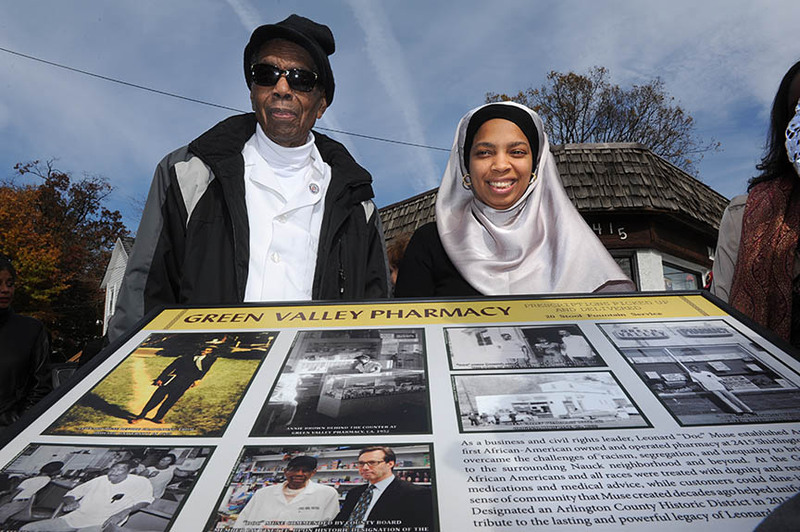 On November 8th, Arlington County dedicated a historical marker to pioneering pharmacist, Howard University graduate Leonard "Doc" Muse, for his over sixty years of service to the community with his Green Valley Pharmacy. 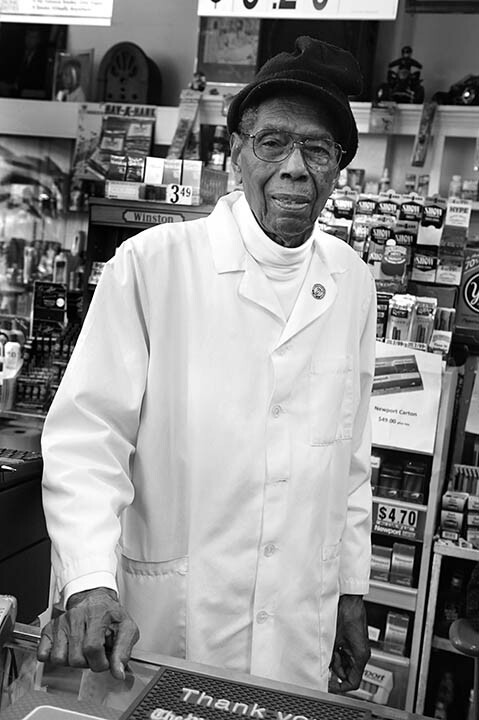 He opened the pharmacy for business in 1952. 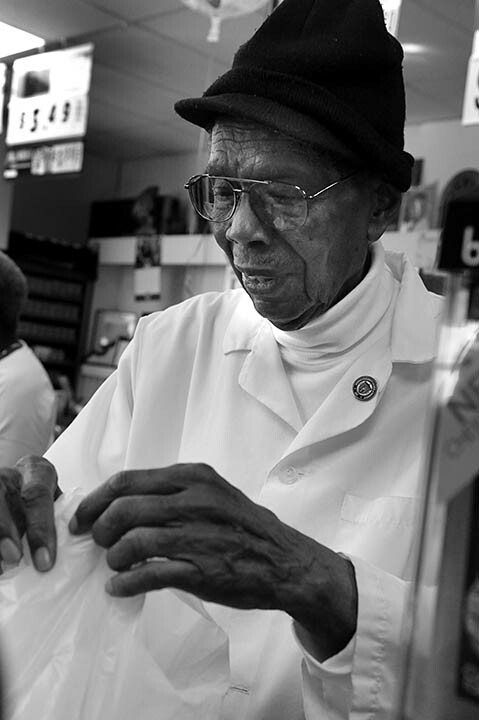 At ninety years of age, he still works the counter daily, alongside his granddaughter, also a Howard-trained pharmacist. 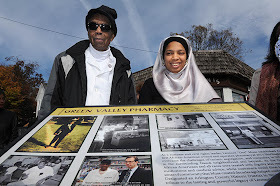 An enthusiastic crowd was on hand to celebrate and honor Doctor Muse. 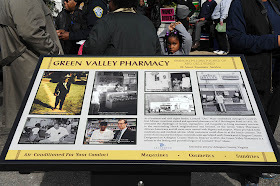 Two of my photographs from the Arlington Photographic Documentary Project, circa 1980, are included on the marker, the first time I know of that my work has been on a historical marker. 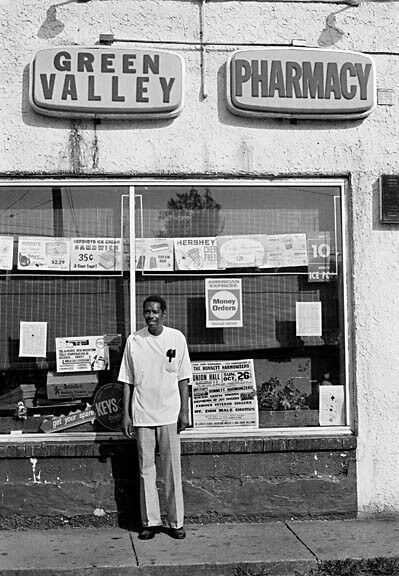 And to Doc Muse; "bis ein-hunnert-zwänzig!" 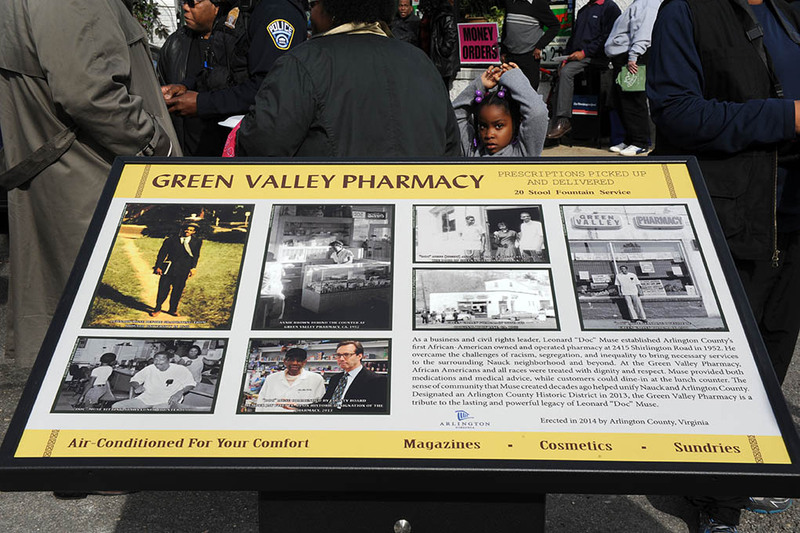 May you have 120 years.